What is Fab Lab Fabulous St. Pauli? Fabulous St. Pauli e.V. 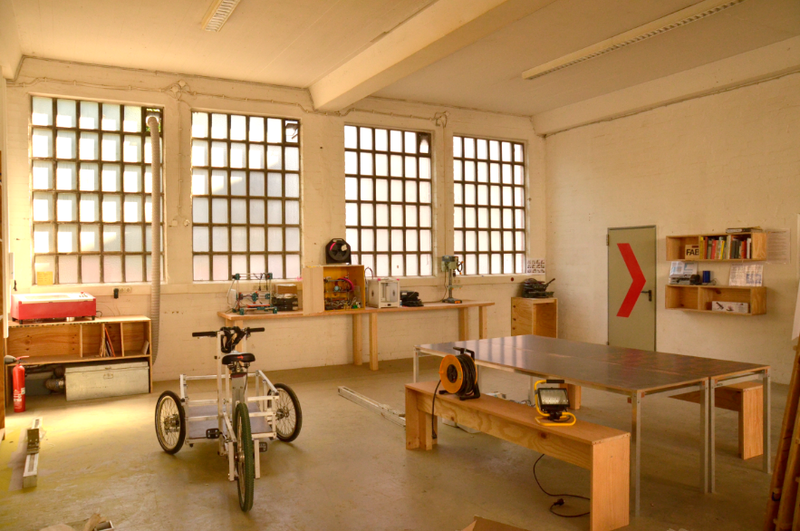 is the first Fab Lab in Hamburg and part of a network of about 600 “Fabrication Laboratories” worldwide. These are community workshops for new computer controlled machines like 3D printers, laser-cutters and CNC milling machines. The concept was invented by Neil Gershenfeld, director of the Center for Bits & Atoms at MIT, in 1998. The goal is to provide tools and access for all to a digital production that has been confined to factories until then. And to establish a space in which people can learn together and teach each other the basics of digital production in a casual way. By that Gershenfeld sought to overcome the “fabrication divide” that has shaped industrial societies for a long time, similar to the relatively new “digital divide” of the information age that got more attention: the gap between those who have access and those who have not. Sometimes we put it this way: High-tech for all! And: The city is our factory (an expression that was coined by artist Christoph Schäfer). Today’s western cities have lost many of their production capabilities of the past, mostly through outsourcing to industrial estates or Asian countries. This situation is neither resilient nor fair. Not resilient because production of crucial complex products, notably in IT, are concentrated in few spots around the world. External shocks like the 2011 tsunami in Japan which destroyed several factories can bring manufacturing of important products to a halt in relatively short time span. Not fair because manufacturing conditions in many Asian factories still resemble those in 19th century Europe and because the extraction of mineral ressources often fosters military conflicts and corruption. We see Fab Labs as the beginning of a “production by the masses” opposed to mass production as E.F. Schumacher conceived in his seminal book Small Is Beautiful in 1973 (seminal again we should say – in the 80s and 90s it was considered outdated). Fabulous St. Pauli was founded in 2011 as a non-profit club according to German law (“gemeinnütziger Verein”) and is supported mostly by member fees and donations. It’s open to members all week and to the general public on Open Lab Days every Thursday from 4 PM till late. It offers three 3D printers, a laser-cutter, three milling machines (one for controller boards), soldering stations and electronics equipment, a cutting plotters as well as traditional tools (see Geräte). The monthly member fee is 25 Euro. It is located in Lerchenstr. 16a in Hamburg’s famous quarter St. Pauli, once one of the poorest neighbourhoods in Germany and now heavily affected by gentrification, though still renowned for its diverse and unconventional inhabitants. If you are interested in coming to the lab feel free to contact us at info (at) fablab-hamburg.org.